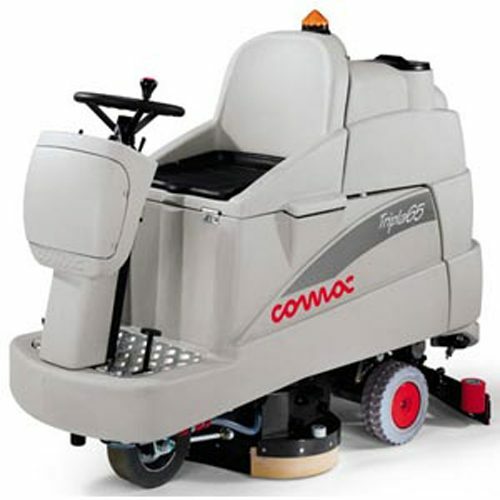 The Comac Tripla 75 11 Refurbished Ride On Battery Scrubber Dryer is a compact machine that use both cylindrical brushes and rotary brushes or pads. 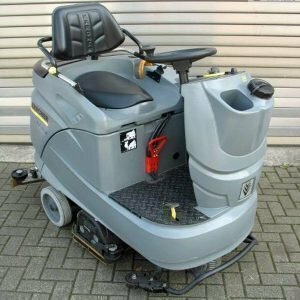 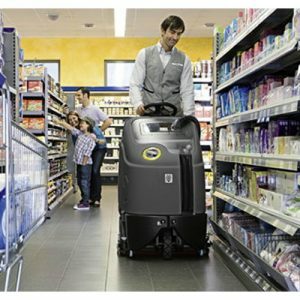 This machine is compact, lightweight, powerful & economical ride-on scrubber dryer. 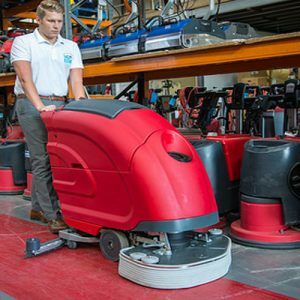 Its a real revolution in floor cleaning. 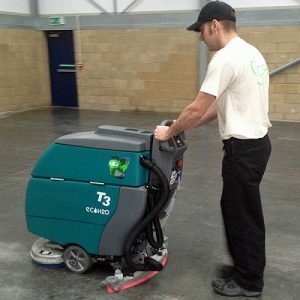 The Comac Tripla 75 11 has a 75 cm working width, a scrubbing head and a sweeping head with waste hopper. 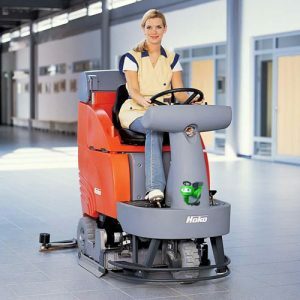 A ride-on machine, which is extremely user-friendly ,safe and quiet . 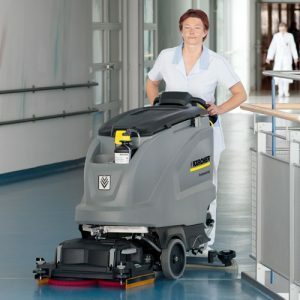 The goal that has been reached with Tripla 75 is maximum usable volume considering the machine size thanks to accurate shape design of the polyethylene tanks and frame.